We got some heavy rain across western Oregon on Wednesday afternoon, as the video makes plain, and I was happy to notice that the National Weather Service predicted rain for northern California as well. Coming back to Oregon a couple of weeks ago, I got another look at nearly empty Lake Shasta. It suppose that that important reservoir won’t get back to normal until there have been several winters of average snow. But I also expect that every day of autumn rain helps California’s dire water shortage. In any case it has to be better than another day of drought. 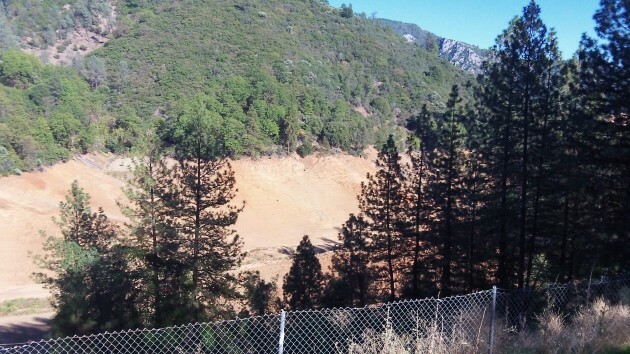 This arm of Shasta Lake was bone dry two weeks ago.